On Wednesday, September 12, GOOD+ Foundation, a national nonprofit founded by Jessica Seinfeld that provides training and support to fathers and families living in poverty, hosted “An Evening of Comedy + Music” Benefit at Stern Auditorium / Perelman Stage at Carnegie Hall in New York City. 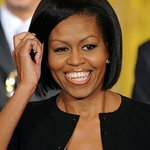 The special evening, which raised nearly $2 million for the organization’s work helping families build stability and create an upward trajectory for their children, celebrated the organization’s accomplishments and its evolution to better engage fathers for the benefit of their children, families and communities. The memorable night featured performances by renowned comedian and headliner Jerry Seinfeld, along with Leslie Jones, Gad Elmaleh and Sebastian Maniscalco. In addition, music superstar John Legend performed hits including “Love Me Now” and “All of Me” while Common performed alongside Robert Glasper and Karriem Riggins of his supergroup, August Greene. Michael Strahan and Seth Meyers both made special guest appearances on stage. Additional celebrities and VIP guests included Naomi Watts (Actress), Chrissy Teigen (Model), Chris Rock (Actor/Comedian), Tiffany Haddish (Actress/Comedian), Victoria Justice (Actress/Musician), Chris Harrison (Television Personality), Beth Stern (Actress/Model), Jenny Mollen (Actress/Author) and Jason Biggs (Actor, Who We Are Now), Ali Wentworth (Actress, Nightcap) and George Stephanopoulos (Chief Anchor, ABC News/Co-anchor, Good Morning America), Baron Davis (Former Pro Basketball Player), Ted Sarandos (CEO, Netflix) and Nicole Avant (former U.S. Ambassador to the Bahamas), Shawn “Pecas” Costner (VP of Player Relations at Roc Nation Sports), Charlotte Groeneveld (Influencer), Georgina Bloomberg (Equestrian/Author), Dr. Mehmet Oz (TV Personality), Stacey Bendet Eisner (CEO and Creative Director, Alice + Olivia) and more. 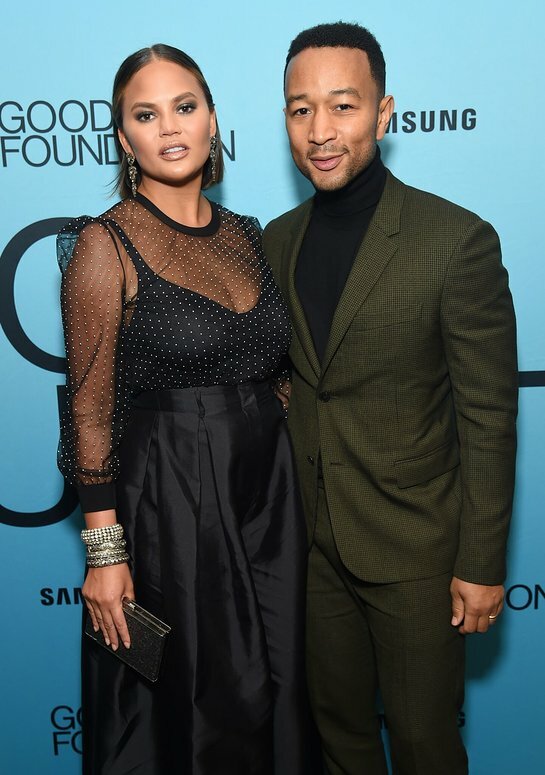 Chrissy Teigen supported husband and recent EGOT winner John Legend (wearing Valentino) who took the stage for an emotional performance of his hits “Love Me Now,” and “All of Me” plus a cover of Bruce Springsteen’s “Dancing In the Dark” during the benefit. Naomi Watts (Actress), Amy Schumer (Actress), and Michael Rapaport (Actor) all stopped by the post-performance party to congratulate Jessica and Jerry Seinfeld and support GOOD+ Foundation. Jerry Seinfeld, Chris Rock and Ted Sarandos talked shop at the post-performance party. Jessica Seinfeld opened the benefit program with remarks highlighting GOOD+ Foundation’s recent expansion to help address one of the root causes of family poverty – father absence – with emphasis on the critical impact fathers have on their children, families, and communities. Recording artist, actor and activist Common performed a spoken word about a young father who regained custody of his little boy with support from GOOD+ Foundation and program partners. In addition to a pre-VIP reception, the party continued after the Benefit program at the nearby Ziegfeld Ballroom. The post-performance party was designed pro-bono by leading event planner and designer Bronson van Wyck and his brand event production firm WORKSHOP. Infusing life into the Ziegfeld Ballroom and perfectly blending the old with the new, WORKSHOP celebrated the venue’s rich Broadway history by creating a video art tribute to the glitz and glamour of entertainment in the gilded age. Gorgeous Art Deco mirrored bars and chesterfield couches paid a modern homage to jazz age speakeasies. Colorful lighting revived the original red and gold color palette of the iconic New York theatre for this special occasion.